Of the 13,759 apps that use our API, these are the very best. Over 13,800 products are connected to the Strava API (or Application Program Interface), making over 10 million requests to our servers every single day. 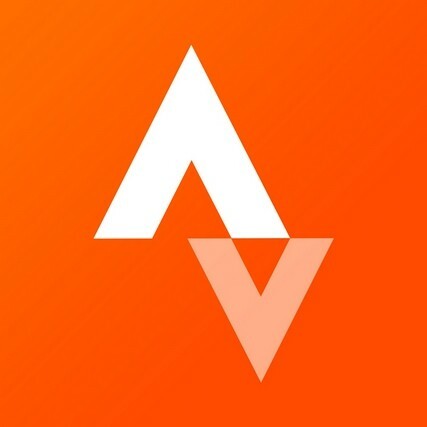 These “powered by Strava” apps enrich the experience; they let you relive your adventures in a unique way, sync with Garmin or Fitbit GPS devices, dive into your data and much more. We hosted the Strava Developer Challenge to showcase the innovation and authenticity of our developer community. The developers we spoke with ranged from experienced programmers to relative novices. They were all people working full-time jobs, some raising children, while finding time to serve the Strava community on the side. Of the nearly 100 submissions, we narrowed it down to a top 25. Then the top 5 were selected by Ben Lowe, creator of VeloViewer; Mark Shaw and Mark Gainey, Strava’s CTO and CEO; and Ariel Poler, a member of Strava’s board of directors. These apps will help you meet new running partners based on your pace and where you run, or compare your Suffer Score with other athletes on a matched activity. They’ll let you better tell the story behind your ride or run, and they’ll help you keep track of your commutes to work. We’re excited to share the stories behind the top 5 finishers, but every submission is worth checking out. Strava offers tools for comparing riders who match together on an activity, but IT professional and passionate cyclist Ethan Fann wanted more. Ethan’s app allows riders to compare a range of stats from average power to max heart rate between riders on any activity. The tool supports any ride on Strava, so you can view leaderboards from your local Sunday group ride or from a stage of the Tour. “Top suffer score for the day gets a burrito?” Ethan offered as an example. “You’re on!” We’re especially fond of seeing the highest Suffer Scores for riders in the Tour de France. Olga Grynenko had just earned her Masters in System Analysis at Taras Shevchenko National University in Kiev and was looking for a fun project that would use some of her data skills. “At one point I was volunteering at two various places every day, which meant four commute rides per day, which meant at least four times opening the Strava app and marking my commutes,” Olga told us. “So I decided to write a draft script in Python, which did it for me automatically. Behind every great activity on Strava, there is a story. But often times, all we can see in the feed are the basic stats. Gianfranco Pooli of the Netherlands built StoryTeller to go deeper. “Often the activities getting the most reactions are the ones where the athlete shares that extra bit on top of the data collected by the app: photos, personal notes, a funny title,” Gianfranco told us. With StoryTeller, you can import maps, stats and photos from a Stava activity and arrange them in a blog format. The other top-25, in no particular order. If none of these feel like quite the right fit, maybe it’s time to pick up the API and start developing an app of your own. Learn more about the inaugural Developer Challenge and Strava Developers.